common was established in Finland in June, 2007. 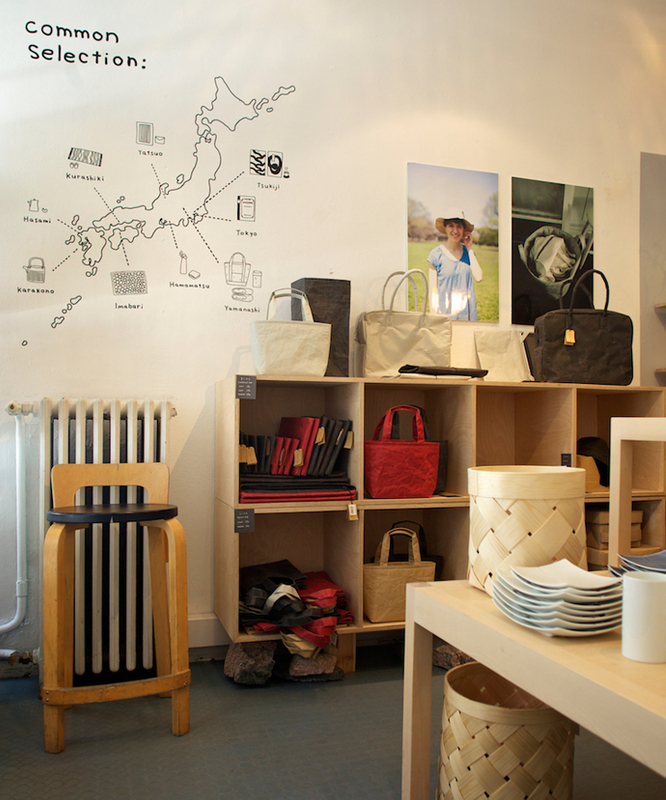 A Helsinki based retail venture showcasing Japanese design that can blend in with the lifestyle of Nordic countries. They stock several types of products, all of which have a unique simplicity to them, which is a shared feature of both Nordic and Japanese design. The general concept is to stock items that have a timeless element, choosing things that one won’t grow weary of, things that can be used in daily life for years and years. Scandinavia is known for it’s beautiful nordic design, so it’s hardly surprising to find a shop of common’s quality tucked away in Helsinki, Finland. We were so inspired by the shop’s ethos and Japanese influence that we decided to catch up with Kohsuke Nakamura, the shops co-founder. By throwing conversation back and forth we were able to find out in greater detail the history of the store and the experience that it has to offer. Below Kohsuke talks about his shop, the relationship that Japanese and Scandinavian design shares, and designer Naoto Fukasawa amongst many other topics. 1. How did the store come about and what’s the story behind it? We opened our shop in June 2007. We came up with an idea for the store through the experience of being involved in the “BEAMS EYE” exhibition which took place in the Artek store in 2006. “BEAMS EYE” was curated and organised by Ms. Keiko Kitamura and Mr. Terry Ellis who are the buyers at FENNICA, one part of the Japanese fashion company BEAMS. We could see that Finnish people were interested in Japanese design and at the same time we felt that Japanese products would sit well with Nordic design. Before moving to Finland from Japan, I (Kohsuke) worked at BEAMS for 8 years until 2004 and belonged to the Fennica label. (That’s why I had an opportunity to join BEAMS EYE exhibition.) I could touch and feel a lots of authentic products, such as Japanese designs, Mingei, and Scandinavian designs as well. 2. We don’t tend to see too many other design conscious stores coming out of Helsinki, is there an emerging “scene” so to speak or is common one of a kind? Actually, we’re not sure how our store common is known and positioned locally, but design and lifestyle type stores are increasing year on year here in Helsinki. Good foods shops, such as local foods concept store, and home-roasted coffee shops are especially exciting. We’ve always been inspired by them. 3. It’s great to see you carrying some of Naoto Fukasawa’s products, what do you think it is about his creations which makes him such an influential designer? The things we appreciate about his creations are that he knows what is enough and when to stop. I feel that the forms he designs are not just simple and super normal, but more meaningful than others. I approve of his design not only in it’s form, but all of the processes and principles within his design projects. For instance, though we’re retailing SIWA paper products, SIWA only adds some new items once a year or some are changed slightly and upgraded. It’s always weeded out and brushed up as a series itself. This is exciting for the customer, of course, and it helps us when promoting products and makes it easier as a retailer. 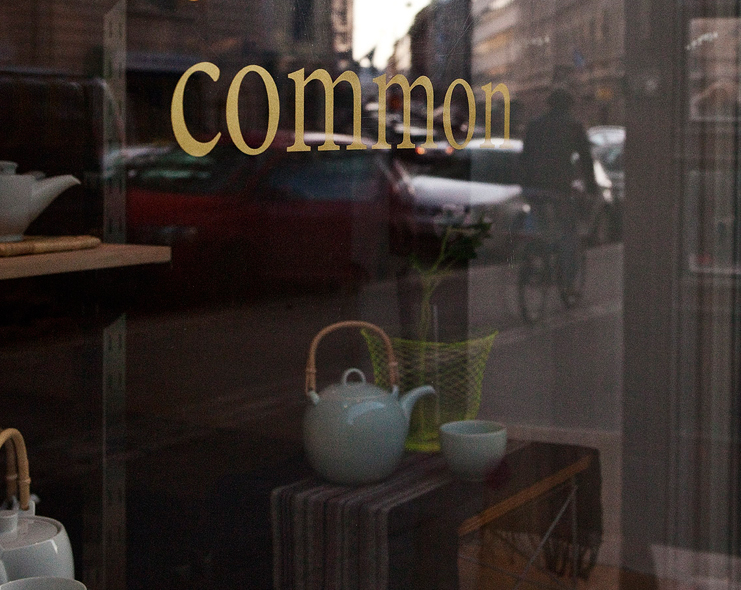 A quick glimpse inside the common shop in Helsinki, Finland. Porcelain teapot designed by Kazuhiro Tominaga. 4. While some people in Europe think that good design in inaccessible and expensive, you seem to proving this assumption wrong in the common store though reasonable prices and beautiful products. So I’m curious, have you always been conscious of carrying items that are as affordable as they are well designed? In Japan there’s a wide range of products that exist. All kinds of luxury products, traditional handcrafted stuff, high technology gadgets that have already been introduced all over the world. The reasonable and useful good looking products are not brought that much still. We feel it’s a pity and at the same time a great opportunity for us to retail them. For example, the reason why we started to sell the Tsubame notebook is that no one sells such a reasonable and functional notebook here in Finland, which has been handled by us since we established the store. 5. Japanese and Scandinavian design definitely shares a lot of common ground, why do you think this is? This is a very difficult question and we’re always looking for the answer. One thing I’ve realised is that the fundamental perspective on nature is very similar to each other, we both tend to prefer silence and quietness. I guess our roots in a sense are quite similar. A look at the selection inside the common shop, some beautiful weaved containers, porcelain plates, and SIWA designed by Naoto Fukasawa. 6. We noticed that you’ve opted out of offering items of clothing, has this idea never appealed to the pair of you? We feel that it’s much better for us to focus on interior design and other products for our current stage here in the Nordic area, since it’s more interior design oriented in general. 7. 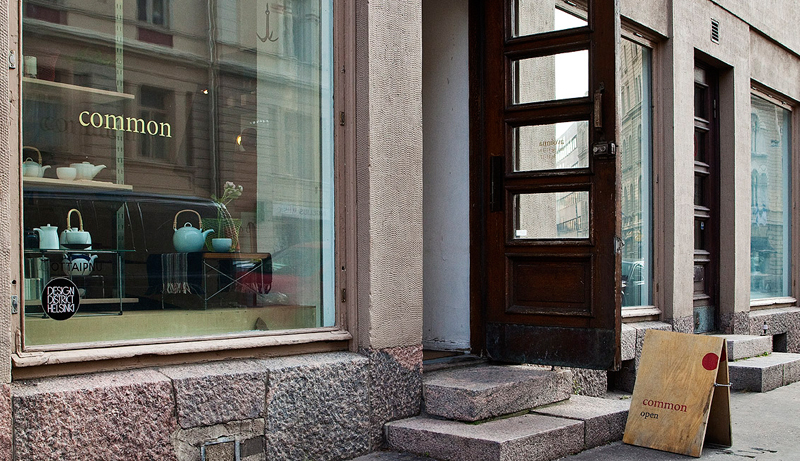 Viiskulma is quite an iconic location with it’s five corners which seems quite fitting in relation to the ethos of the store, so was it a conscious decision to open up here or just a bit of a coincidence? We wanted to have a store near these five-corners before we even opened our business, we were sort of looking for a space near these five-corners consciously. It’s a junction in Helsinki where several types of people pass by. Also there are a lot of good small stores and offices that exist and they all create a nice harmony and atmosphere. Another attractive factor is a relatively low rent fee since it’s located not too far away from the main centre. We love this local type of feeling. 8. Much like your products the stores aesthetic is very honest and pure, but with such a minimal look how did you ensure that when you stripped away the unnecessary that enough substance and character remained? The Japanese products that we sell in our store stand out better in a simple space more than decorative one. Showcasing the shape and quality of each piece. We believe that Finnish people also like this style, it sort of made sense. 9. Have you been surprised by the type of customer that the common store has attracted at times, or have you always seen the same demographic since you opened? Our main customers are local creators, interior and graphic designers, architects and so on. I think they’re mostly 20-40 years old. This trend hasn’t changed that much since the store was established. An interesting selection of paper products that they stock exclusively from Japan. Seen here the Tsubeme notebooks which dates from 1947, the design is unchanged. 10. Selling the products that you do, it must be crucial to be able to educate your customer on the tradition and craftsmanship that each product entails. How do you go about this and do you think this has been significant in the success of the common store? All of our products have some sort of story behind them, and for us telling these stories to the customer is one of the most important things and is also quite a fulfilling job in our line of work. Therefore due to the nature of our business we’re always learning about the background of the products. This sort of thing definitely makes us motivated to continue on with our business. 11. Why do you think your customers shop with you? We have a theme to sell the products that we stock as long as possible, once we start to retail and showcase an item we want it to last. I think that our customers like our products and respect the store’s concept as well. 12. How ambitious are you for the store, and what position would you like to be in ten years time? It would be great if we could continue the store in same style as what we have today. Since it’s such a variable era we don’t want to change too much, but obviously we must strengthen the branding more and more if we want to be this “unchangeable” store. 13. What can we expect to see in the common store in the near future? We are really interested in Finnish handicraft and are planning to create some original products with different creatives. In fact, we’ve just made a pine basket in which we collaborated with a Finnish craftsman who lives in central Finland. We’re very happy with it, we think it fits in very well with our other Japanese products. 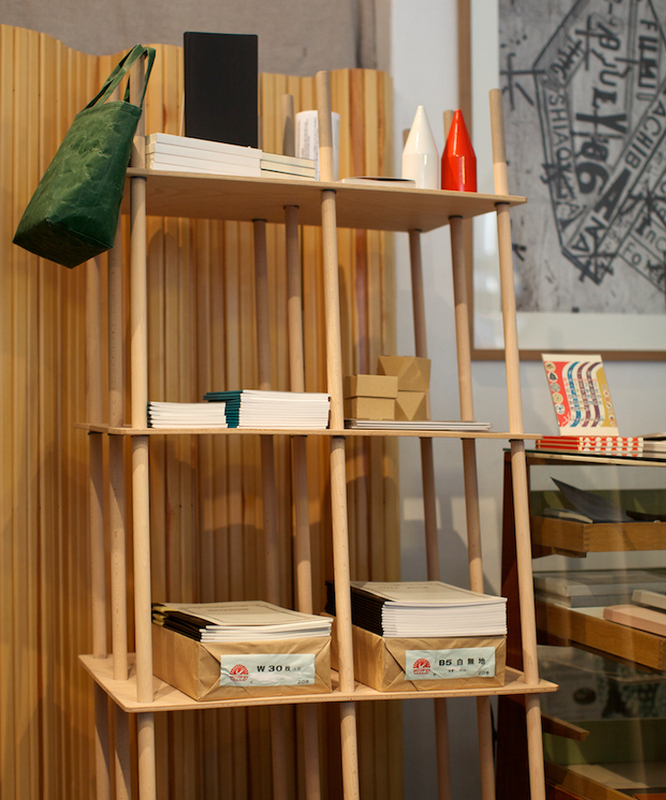 Also, we are planning to have small exhibitions focused on Japanese artists, craftsman and other designers at our store. We hope we can increase these kind of opportunities more often.